One man loves her. The other doesn't. But who will be her master? Feeling lost and abandoned by the man she loves, Sylvia tries to bond with her new Master, Mr. King. Sylvia will do anything to please him as he dominates her with a strong hand--commanding her, disciplining her, even sharing her with his business partners--just like Mr. Grant did. Mr. King fulfils her every fantasy. But unlike Mr. Grant, he cherishes her, and shows her the love she craves. She truly wishes she could give him what he wants. Her love. But she knows in her heart, she will never stop loving Mr. Grant. Mr. Grant can't live without Sylvia and realizes he must find a way to get her back. He wants her under his command... and in his bed. But can he convince Mr. King to give her back when it's clear the man has fallen in love with her? Books 5 & 6 of The Office Slave series as a box set. 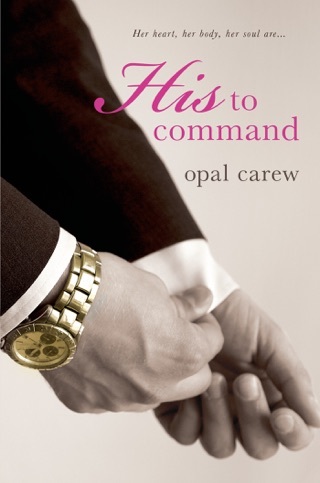 Just go to the Opal Carew website and click on the Reader Group link.